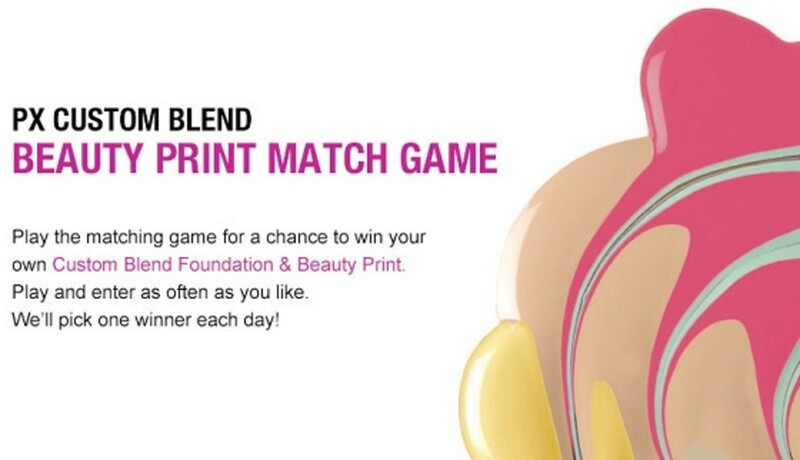 Match top beauty bloggers with their Prescriptives Custom Blend Foundation beauty print for 21 chances to win your own! Prescriptives is having a fun contest on its Facebook page now through March 30th giving away Custom Blend Foundation to 21 winners! You may recall I participated in a Custom Blend Live Video Chat last year with a prescriptive Beauty Genius to determine my foundation recipe ("Beauty Print"). It&apos;s a perfect match and I&apos;ve been using it ever since. I wrote about the cool digital process on Babble. I&apos;m honored to be one of the beauty bloggers featured in the Prescriptives Beauty Print Matching Facebook contest. Simply match the bloggers to the Beauty Prints as quickly as you can. When time is up you can enter to win. Play as often as you&apos;d like. WIN IT: I also have a Custom Blend Foundation ($65) to give to one Glamamom reader. TO ENTER: Visit Prescriptives on Facebook and play the Beauty Print Matching Game. Leave a comment below that you did. One extra entry if you follow Prescriptives on Twitter. Please leave a separate comment for each. US only and you must be 18 years or older. I&apos;ll choose a winner via random.org in one week. Good luck! Follow Jill Seiman&apos;s board Glam Makeup on Pinterest.